18th Birthday Captions for Yourself: Is it your 18th birthday? Then it’s time to celebrate yourself and the great journey of life as an adult! Maybe, this is the day you have been waiting for so long to embrace your adulthood. And you know, it’s ok to make yourself a priority and do a little show off on your 18th birthday. 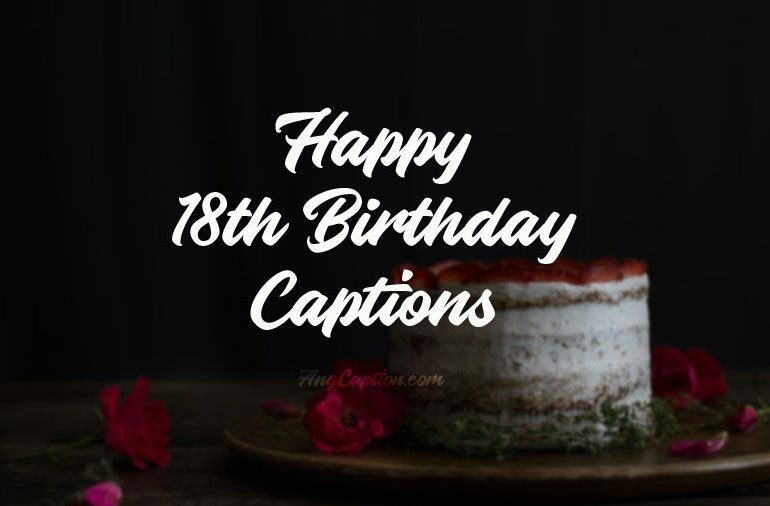 Here are some 18th birthday captions to celebrate your most precious birthday at this stage of life. 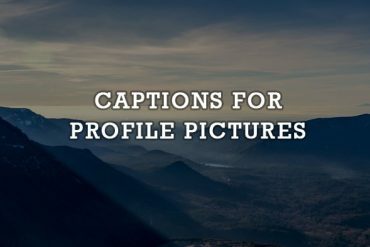 Take a picture of yourself and post it on Instagram or Facebook with these best, sweet, cute and amazing 18th birthday captions. 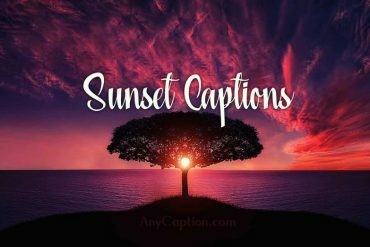 Choose yours from funny birthday captions for me to inspirational self-birthday captions and here you have many more options. Just scroll down and explore them! Happy 18th birthday to Me. Today’s special because it’s my 18th birthday. Gonna party like it’s my 18th birthday, cause it is! Now I’m ready to fit right in this crazy world of the adults. Happy Birthday to someone who is full of unbelievable awesomeness! Yes, that’s right. It’s my 18th birthday. Yes, today is my birthday, Therefore I will be treated like a Queen. Cause it’s eighteen. Congratulations to myself for reaching my first birthday being an adult. Happy 18th birthday to me! Happy Birthday to someone awesome, talented, beautiful, and funny! Yes, that’s right, it’s my 18th birthday! With all the fibers in me, I’m wishing myself an 18th birthday celebration full of happiness and lots of gifts as well. Please welcome me in this crazy world of adults! Say, “Happy 18th Birthday”. I’m another year younger than before, so I’m wishing myself more of years like this. A happy person always. Today I think I’m going to party harder than ever before- cause it’s my 18th birthday! Loving and caring for your close ones are two things probably you do better than others. Also, there is a task that is equally important, and that is “Loving Yourself”. 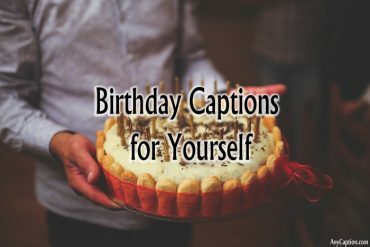 Now, show yourself some love and these self-birthday captions will help you post birthday selfies on Instagram. Yaaaay! It’s my 18th birthday! And you all are invited. But first, wish me a happy birthday. 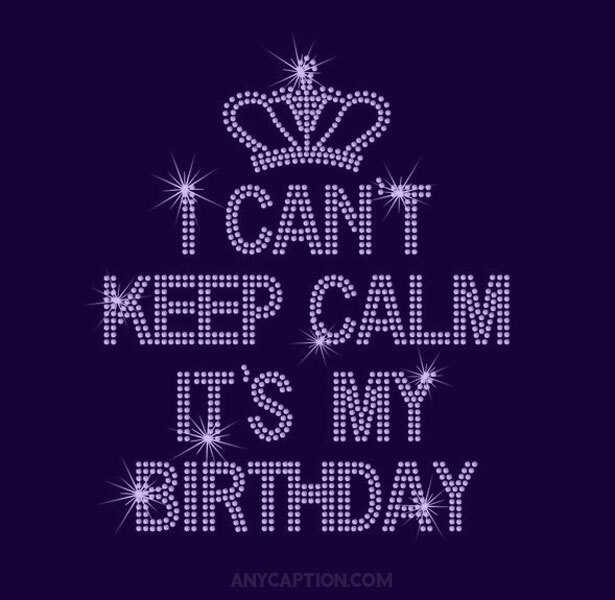 Keep Calm it’s my 18th birthday. Today I’m 18 and really excited to see where my life is going to take me. I’m officially a year older today and much cooler than ever. Happy 18th birthday to me. Old enough to know better but still young enough to get away with it. May I always stay happy as I celebrate my 18th birthday. God bless me. My being alive today isn’t because I’m perfect but because I received God’s grace. Happy birthday to me. I’m what I’m. That’s a great thing to be. 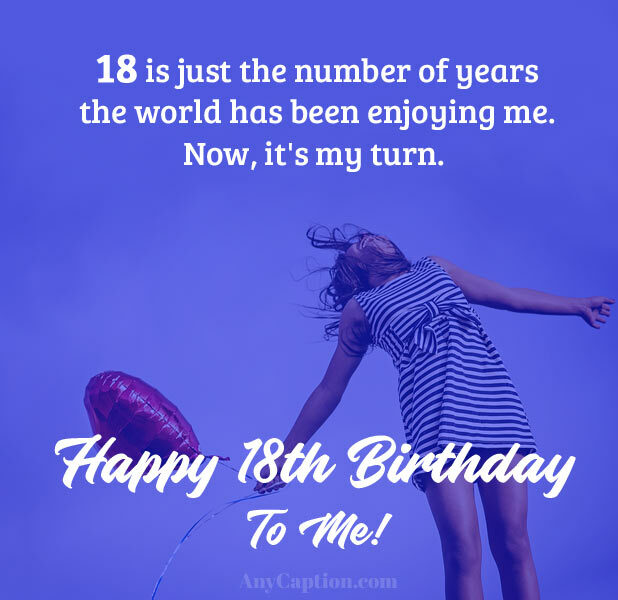 If I say to myself, “Happy 18th Birthday to me!” it means a great deal to me! Happy 18th birthday to my humble self. I wish myself more success and achievements in life. Hey look! I’m another year older today. It’s not been easy but I’m grateful. Happy 18th birthday to me, myself and I. Cheers to me for surviving another year! May I have many more wonderful, crazy years ahead of me! Happy 18th Birthday, Me! Turning eighteen symbolizes the transition of one’s life from youth to adulthood. So, it’s a big reason to be a little silly and make some fun. 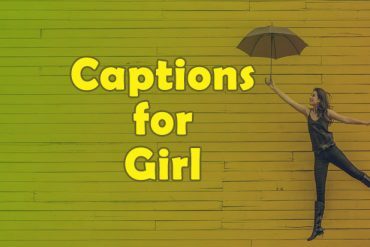 Why not post some pictures from your birthday party celebration with these funny 18th birthday captions? Give your friends a reason to smile and show yourself some love too on your special day! 18 is just the number of years the world has been enjoying me. Now, it’s my turn. Birthdays are good for me. The more I have, the longer I live. lol! Happiest of birthdays to me. Happiest of birthdays to me. Oh yes, happiest of birthdays to me. 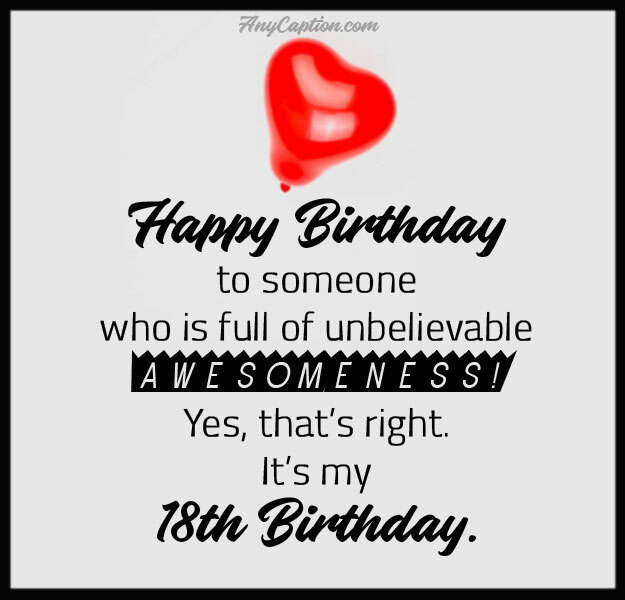 What’s that—you want to wish me a happy 18th birthday? Today, I’m going to be selfish and focus all my attention on me. Today, I make myself my priority. Happy 18th birthday to me. I really can’t believe I’m 18 already. Small girl turned into the big girl. Happy 18th Birthday to someone that’s one-in-a-million and the creme of the crop! You are the icing on the cake! That’s right, I sure am! 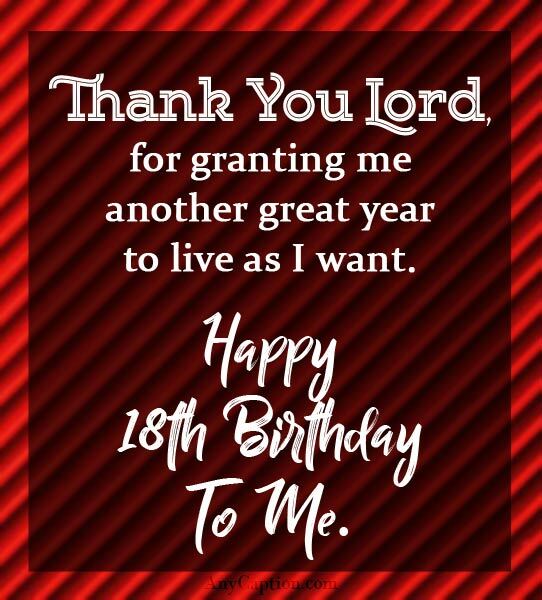 As I turn 18 today, may God always crown my efforts with good success. Happy birthday to me in a grand style. It’s that time of year again. You know—the cake and ice cream. It’s my outrageous 18th birthday! Time to start the party! Happy 18th Birthday from Me to Myself! It’s time to party because I’m superfly! Cheers to a brand new year full of laughter, love and new friendships! Your friends, family, relatives and partner aren’t the only people who can motivate you on your birthday and always. But the fact is, you also can do it for yourself by posting your pictures with these inspirational 18th birthday captions. Because there is no better day to re-energize yourself than on your birthday. Happy 18th birthday to me. I wish myself an all-around success in Jesus’ name. Thank you, Lord, for granting me another great year to live as I want. Happy 18th birthday to me. It’s too late to give up, I am forging ahead in life. And no matter what life gives, I’ve got God by my side. It’s my 18th birthday, and by God, I shall celebrate and party like tomorrow never exists. Thank you, God. May God be before and after me, as I turn 18. I wish myself a long life and prosperity. The last years have been full of ups and downs. I pray as I turn 18, divine testimonies will fill my mouth. As I turn a year older, I wish God gives me all I need to be a complete person. Amen. Happy birthday to me at 18. It’s not been easy but I have been coming through, day after day. I celebrate myself for courage. Happy 18th birthday to me. I wish myself a long and better life ahead. Amen. 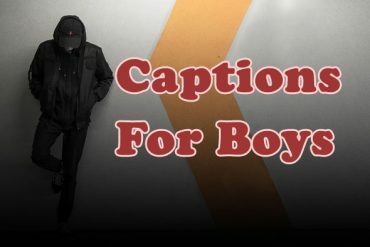 To make it easy for you when you’re going to share your 18th birthday’s pictures on Instagram, Facebook or in any other photo sharing app we have created this post of 18th birthday captions for you to express your feelings and thoughts on this special day. So you can save the day when you want to indulge in self-sarcasm about your age, simply joke about celebrating your 18th birthday or give thanks to God for this beautiful life.